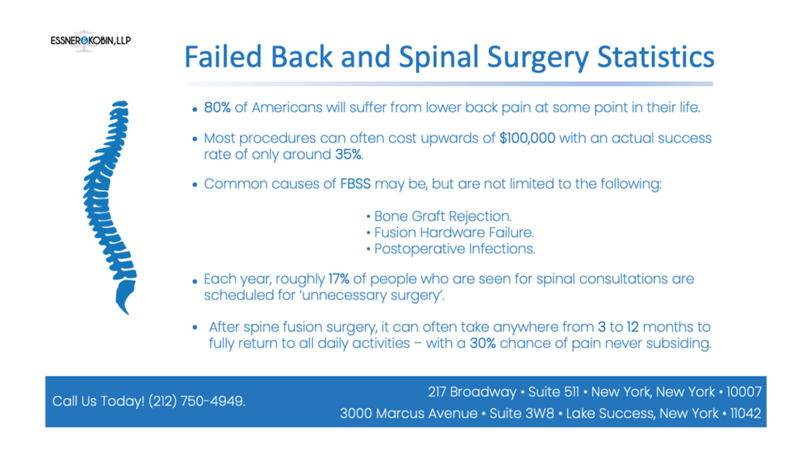 Failed Back Surgery Syndrome (FBSS) often refers to a subset of patients that have new, or persistent pain after spinal surgery for back and/or leg pain. Being a procedure of high-risk, as the spine is loaded with nerves, one fatal move by a surgeon could potentially leave you without feeling in a certain area for prolonged periods of time. As human beings, our nervous systems harbor a vast amount of nerve endings, which could lead to many potential areas for problems when a failed back surgery occurs. • Prolonged and debilitating pain in the back, rear, legs, neck and/or hips. 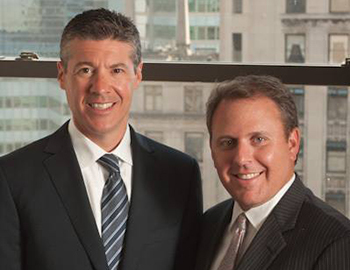 • Income loss due to a permanent, or temporary injury that is related to the surgery. • Partial/full paralysis, or other conditions that result in the chronic loss of mobility. • Compensation to aid in the payment for additional surgeries, recovery, and/or needed rehabilitation. As well as medications, and possible therapy to help ease the pain in a short-term sense. Claims may also often be made for any types of psychological distress suffered, with a focused lens on the diminished quality of life. Any patients who have unfortunately been injured during back surgery may be eligible to file a malpractice claim, but should certainly consult legal counsel first. Any/all injuries should also be examined by a neurologist, or any other type of specialized doctor so that the extent of damage can be properly determined and documented before moving forward.